1 on 1 Adventures #9: Legacy of Darkness Out in PDF! 1 on 1 Adventures #9: Legacy of Darkness is now available in PDF at YourGamesNow.com, the publisher cooperative! Designed for 1 GM and 1 player (Level 8-10 Wizard), this adventure is a whirlwind of necromantic delight as the PC uncovers what dark intent consumes a renowned retired necromancer in his small home in a quite town. A Reader’s Tip in this issue discusses a good movie for GM inspiration and why. The reader also suggests building a list of movies for GMs to watch. Great idea! Hopefully, there will be enough entries to post a list, and the information you provide will help with categorization. For example: combat description, plot inspiration, encounter ideas, world building. I played the Starcraft board game twice recently, and it’s pretty good. It’s quite a bit like Twilight Imperium 3rd Edition, if you’ve played that, though Starcraft only takes 2-3 hours. It’s a picky game with lots of details and well- crafted game pieces, and you can win a number of ways, so it’s not a pure, clobber-thine-enemies experience. It might make a good Christmas gift, though it’s expensive. See the ad below for more details. Three powerful alien races battle for control of the galaxy. Whether you choose to lead the versatile Terran, mysterious Protoss, or voracious Zerg, in StarCraft: The Board Game you’ll command an army like no other in the universe! True to the StarCraft legacy, each of the three races features a unique and distinctive play style, and the inclusion of two distinct factions for each race allows up to six players to compete for galactic dominance at a time. Including a total of over 180 plastic figures and dozens of unit types, StarCraft: The Board Game features an innovative modular board consisting of planets of varying sizes, which guarantees a new experience each and every game. An exciting card-driven combat system allows players to modify and upgrade their faction with a wealth of powerful technologies. Players can unleash a Zergling rush, use powerful Protoss shields to halt an enemy invasion, or even send cloaked Ghosts out to guide nuclear missiles to their target. In part one, we crafted a prison’s design and general purpose, and fleshed out a few details. This week, in part two, we’ll add environmental details to help make your prison unique, fun to roleplay, and easy to GM. Drawing a full map and detailing the facilities is one method for fleshing out the environment. However, you can save time by brainstorming a couple of reference lists in advance. Keep the lists handy while you GM, and roll or choose items as needed. This minimizes preparation time and gives you a lot of flexibility at the game table where PCs are likely to make unexpected moves. Cell FurnishingsInstead of detailing each cell, make a list of typical cell contents. Divide your list into two sections: vacant and occupied. Occupied cells will contain what a typical vacant cell would, plus inmate possessions and customisations.See the cell furnishings list in this issue to get you started on your own list. Rather than trying to list what each area or location might have, draw from this general list as you GM. Perhaps categorize items to make reference fast if your list is long enough. Thanks to Garry Stahl, Telas, and Scot Newbury for ideas. Prisons in your game don’t need to be specially constructed facilities. Your governments might not have the money or desire to create dedicated structures. Instead, they might take over ruins, unused structures, or avoided locations. They would secure them, and then pile the inmates in. If this is the case, you can use just about any interior map from your library. Photocopy the map or slip it into a transparent page sleeve so you can make changes without ruining the original. Add alarms, patrols, or view points. Designate prisoner areas. Divide into sub-areas and cells if desired. Mark supply, storage, and equipment areas. Designate visitor and public areas, if any. You can also find great maps on the Internet. Using theme to drive descriptions is one of my favourite parts of GMing. It’s a real-time creative exercise. A theme gives me a hook to base my ideas and narrative on, a tangible seed to work with. Pick the basis, or hook, of your theme. It can be almost anything: animal, vegetable, mineral; noun, verb, adjective, adverb; person, place, thing.Use the hook to direct your imagination on a specific vector while designing and GMing. Pick a motif based on your theme hook. A motif is a recurring form, shape, figure, idea, or feature.Use the motif to guide the shape and form of such things as architecture, furnishings and decoration, monster selection, NPC personalities, and conflict seeds. Create a symbol, or series of derivative symbols, based on theme and motif.Use the symbol on signage, uniforms, prisoner tattoos, player handouts, art and graffiti. Pick a mood that reflects the theme. Try to create this mood at the game table while GMing, give NPCs this mood as a starting point in encounters, craft descriptions and encounters based on this mood. Pick a colour or colour palette that reflects theme and mood. Make many things this colour. Create a short list of synonyms. Use a thesaurus to help build your list, though try without one first as it’s a fun exercise that will flex your GMing muscles. With these steps, done in any order you choose, you now have a clear set of guidelines on how to theme elements of your prison, game, and session. Exterior appearance. How does the prison appear to the outside world? i.e. Foreboding, intimidating, clean and professional, secure, run-down. Use this to carve out a presence for the prison in your game region, preferably before the PCs are sent there. Events might skew this perception, such as frequent escapes or news of violence. However, the exterior facade gives you a good basis with which to communicate the prison’s theme to the PCs through roleplaying and description. How does the prison seem to staff? Use working conditions, uniforms, equipment, architecture and interior layout, and prisoner reaction to theme to determine base disposition for staff members. For example, picture how the staff might roleplay if they worked in The Pit of Despair versus St. Gwen’s Home of Rehabilitation & Enlightenment. Daily life. How does theme affect daily life, so that inmates from one prison would roleplay differently than another? Next week, in part three of the Jail Break series, we delve into prison NPCs. Stay tuned. I watched “The Descent” last night, and I thought about role playing settings a lot while watching the movie. How many times has my party been into a cave with 5′ wide halls and 8′ tall ceilings, with square rooms and perfect entrances and exits? The movie gives a sense of claustrophobia and the varying settings within a cave. I thought it could be in whatever list of movies you have for game master inspiration. The terrain itself would be considered many of the encounters for the party, and adding monsters into the intense situations in the cavern only made it more interesting. And to top it all off, the movie wasn’t all that bad either! Here’s something I instituted this year that has worked out well for me: Journal XP. In my latest game, I started giving XP bonuses for writing an online journal. By giving players 100xp*lvl for each journal entry (1 per game session) I have found it motivates them to actually start writing one. 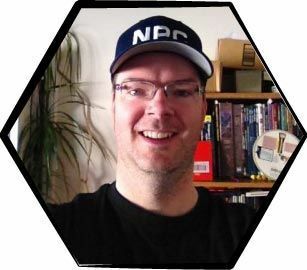 That XP under d20 rules is 10% of what is needed to gain another level, and as I run a once-a-week campaign, I find it only marginally affects progression – approximately 1 every 10 game sessions the players get a level out of it (2 1/2 months). The benefits of writing journals are well worth the small increase in advancement. Players spend time when not playing thinking about how their PCs would interpret the game, further leading to the all important bond with their characters. I have not once had to recap anything that happened in a previous game session. Going over and writing things down helps keep memories fresh for everyone. It makes a great resource for the GM to pull information from. More than once I liked the players’ concept of what was going on, and incorporated it into my game. The story from 5 different points of view makes pretty good reading. In sessions where there was not a lot of XP given, this gives the PCs a chance to earn a little more. Armorsmith – trying to figure out exactly where and how the tremendous gouges got into that suit of plate mail. Someone arriving after the fact, trying to determine exactly what the heck happened here, and how the burning corpse of an orc came to be hanging from the hall’s great Chandelier. From another party member’s view point. Specifically, what they saw the writer’s character doing. I had some computer problems about 6 months ago that convinced me to start using a backup. I highly recommend Carbonite. For $50 a year they automatically backup whatever files you choose (by default your Documents and Settings). The choice to backup or not is integrated simply into explorer. It keeps track of all the files you change, and while your machine is idle it sends the backups to the offsite server. The initial backup takes a while, but after that it only sends the changes, so it doesn’t hog your bandwidth. And, it’s way less hassle than any kind of manual backup plan. For only $50 a _year_ it’s absolutely worth it. I know that, should my machine fry or be stolen, all my files are safe and sound on the Carbonite server. I’ve really enjoyed your NPC Essentials book, and have learned quite a bit from it. I came up with an idea for a deck cards that acts as an extension of NPCE. The reason for this was that I kept needing to create NPCs at the table, during a game session. As you well know, players will go where you least expect them, talking to NPCs that didn’t exist a moment ago. The first page of the PDF gives a little more explanation, while the remainder of the pages are the deck itself. All of the information on the cards is taken from the tables in your book. I had to cull the list of quirks to keep to a 100 card limit on the deck.